NICU RN & mom of two under five – sharing my list of favorite products and all things gluten free! As a NICU RN and also a Mom, I’m frequently asked about my experience with various kiddo-related products. As if that's not enough to write about, I was recently diagnosed with Celiac disease! So, I’ve decided to expand my list to include some posts on what I’ve learned so far about coping with my new gluten free life. *Sliced the cabbage into 1/4 to 1/2″ slices. *Drizzled a cookie sheet with olive oil. 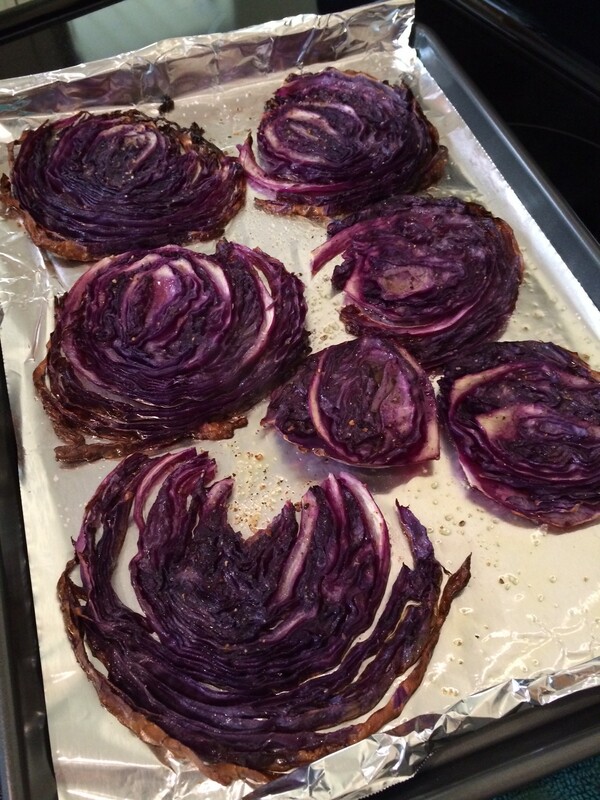 *Layed out the slices and drizzled them with more olive oil and salt and pepper. *Baked for approximately 30 minutes at 375 degrees until the outer rings were golden brown and crispy. 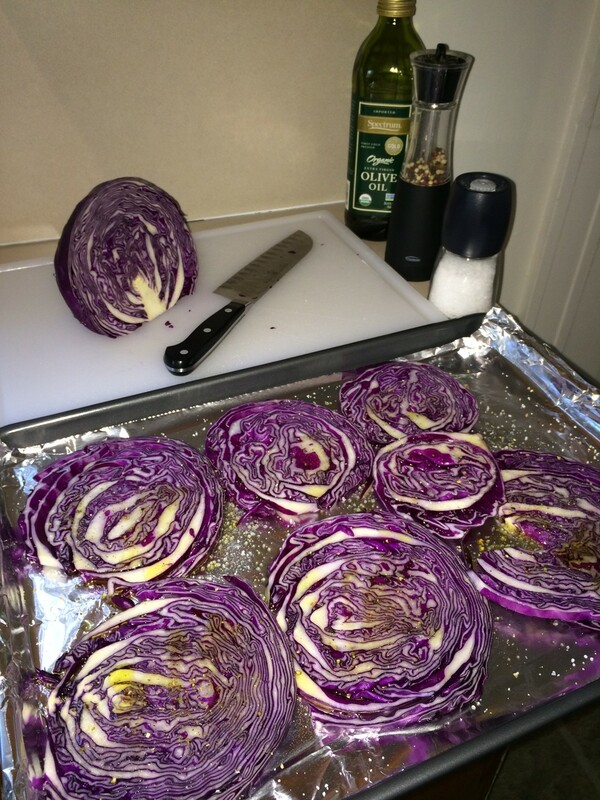 *Promptly ate delicious roasted cabbage in its entirety. Oh, and pardon the aluminum foil. 🙂 I do not like to cook on it but sometimes I just can’t resist the fast clean-up. 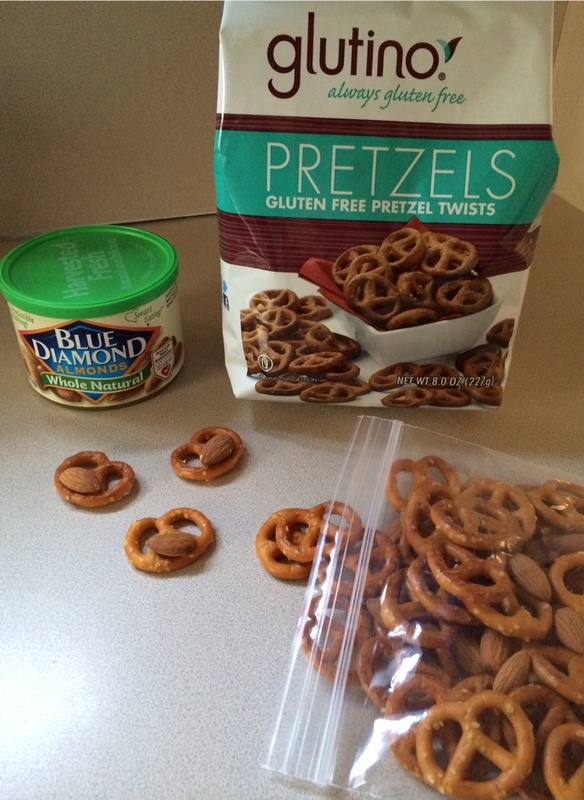 These Glutino pretzels and Blue Diamond whole natural almonds are my new go-to snack to pack for myself. Both are incredibly BORING on their own but are surprisingly satisfying and tasty together in one bite! I’ve been keeping a little bag of them in the diaper bag so when hunger strikes, at least I have these! Sometimes it just seems like too much work to go on a hunt for a suitable GF bite to eat for myself while out and about with the kiddos. I often refer to this little piece of advice given by my nutritionist – “Think like a Boy Scout and BE PREPARED.”. This Martha Stewart recipe for Classic Rhubarb Fool with Farm-Fresh Cream sounds superb! I didn’t realize it was a traditional English dessert. Rhubarb is one of those things that evokes some fond childhood memories for me. I remember it growing out of control in my grandparent’s backyard. Those midwest summers were HOT! I’d go out and pick a stalk or two and get to dip it in a dish of sugar. What a treat it was! This also reminds me of my new favorite yogurt from noosa. 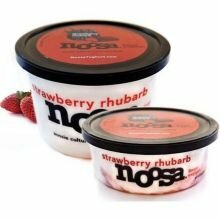 The strawberry rhubarb flavor is hands down, the best yogurt I’ve ever had! And, and it’s clearly labeled Gluten Free. Yay! 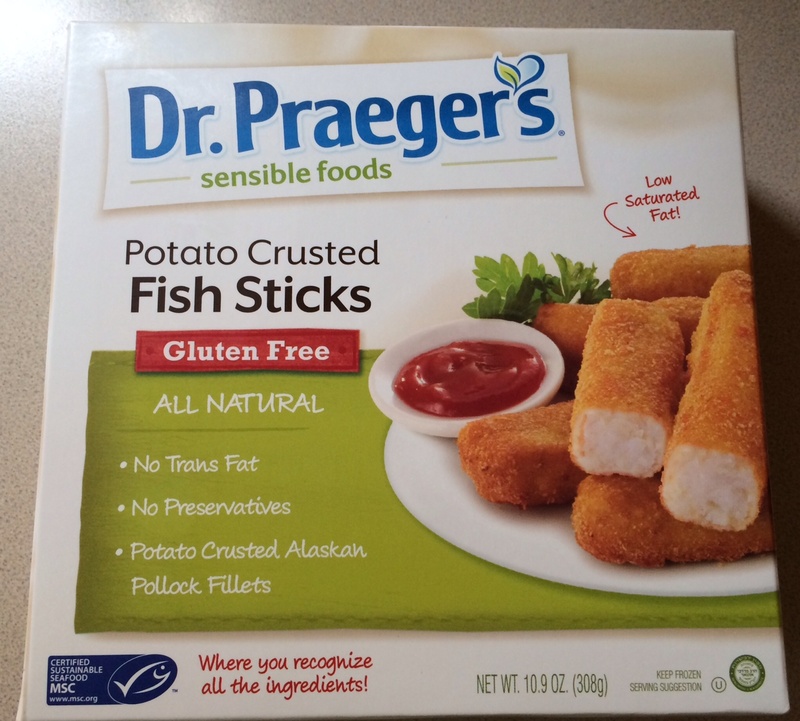 Dr. Praeger’s Potato Crusted Fish Sticks – Really Gluten Free? Everyone needs some convenience food in their freezer right? 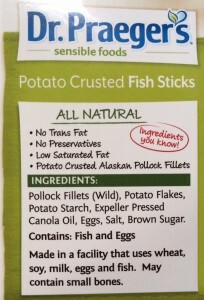 So, when I came across these supposedly GF Fish Sticks on AmazonFresh, I decided to give them a try. 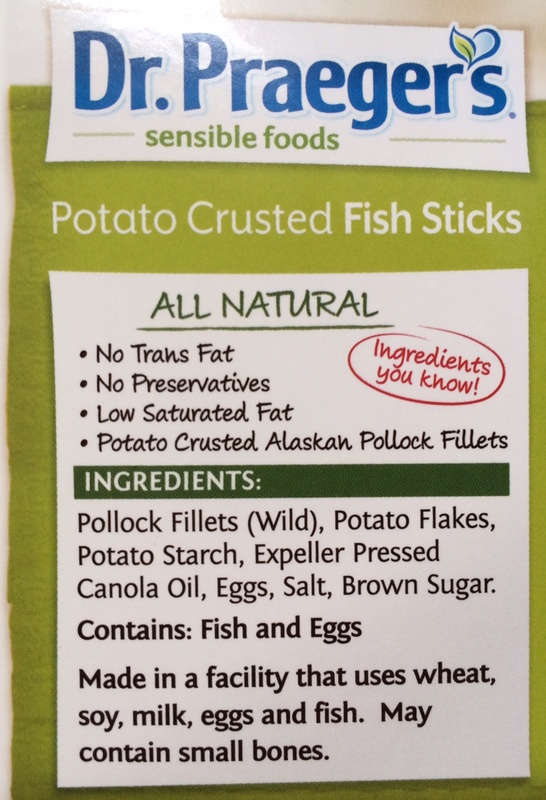 Well, imagine my surprise, confusion and disappointment when I was starting to cook them up and read the back of the box. 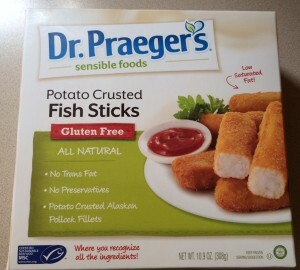 They are clearly labeled Gluten Free on the front of the box and on the back – “Made in a facility that uses wheat….”! What?! This is not suitable GF food for someone with Celiac disease or even my non-Celiac family as I also noted their disclaimer – “May contain small bones.”. They promptly went in the trash. Shame and yuck! I just discovered that not ALL brands of cottage cheese are GF. Yikes! We primarily purchase Organic Valley dairy products since they’re readily available to us and the quality is superb in my opinion. I’m originally from Wisconsin and I’m a bit of a “dairy snob”! Anyhow, they have a nice GF Products List and most of their products are naturally gluten free with the exception of their cottage cheese. They use a barley enzyme as part of the fermentation process. Who knew?! So, I’ll be purchasing Nancy’s brand of cottage cheese from now on as I’ve confirmed it’s GF status here. Holy Vitamix! Why Didn’t I Buy One Sooner? I’d been listening to friends rave about how much they loved their Vitamix blenders for years. I absolutely could not fathom spending hundreds of dollars for a fancy blender. Well, I don’t have any idea what finally got into me, but I purchased one a few months ago. Oh my gosh, my friends were spot on! This blender is truly indescribable to others. You just HAVE to experience it for yourself. I’ve used it mostly for soups. 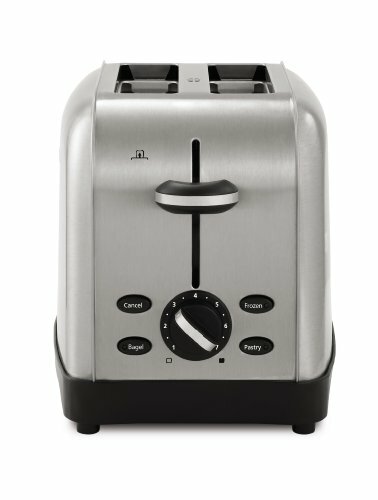 I just fill it with fresh, simple ingredients and press the preset button for SOUP. In about 6 minutes flat, I’m serving my family of four the most nutritious, piping hot, delicious soup ever created! I typically serve it with some tortilla chips or GF bread, and a dollop of sour cream or ricotta cheese. The possibilities are endless with this little “one pot” kitchen appliance. And, the best part — It practically cleans itself too! Here’s some kid-friendly gluten free recipes compliments of red tricycle. The Homemade Chicken Fingers were gobbled up immediately by my finicky little ones! Girl Scouts go Gluten Free! These Gluten Free Chocolate Chip Shortbread Cookies are being sold this year in select cities. Unfortunately, my city is not one of them. Oh, how I’d love to get my hands on a box of these! I’ve been mourning the loss of my annual gorging on Thin Mints, Tagalongs, Trefoils…….the list goes on. Big sigh. I’ve already figured out that having Celiac disease also means having to spend a ton of time looking things up. After getting our kitchen and food supply de-glutened, I began the difficult chore of going through all of my toiletries and cosmetics. It seemed as if nothing I was using was gluten free! I quickly decided that if I have to spend more than 10 minutes researching whether or not a particular product is gluten free, then it’s not worth my time. I will move onto something that’s clearly labeled or stated GF on the product’s website. So after much research, I came up with my new regimen. And, I must say that I’m pretty happy with all of these new GF products that I’m using! This lotion is fantastic and it’s truly unscented! Beauty Without Cruelty A.H.A. 3% Facial Cleanser, 8.5 ozs. **The majority of Tom’s of Maine products are gluten free! **Aquafresh and Crest toothpastes are GF as well. Um……….OK. But where does one start? Well, I don’t have all the answers but here’s what I did. *Emptied all kitchen cabinets, donated what I could to a local food bank, and threw away more things than I thought was possible. *Cleaned, scrubbed, and organized our kitchen from top to bottom. We even moved our appliances out, cleaned under them, and found some missing toys and dog food from 2 years ago! Hey, it was a good excuse to get an early jump on our spring cleaning and I was trying to stay positive after all. *Went shopping for new GF groceries. It was crazy expensive and difficult! All I can say is thank goodness for bananas and KozyShack Pudding in those first few days. I couldn’t think straight and the pudding was the first thing I noticed was clearly labeled GF while walking around like a Zombie during my first trip to the grocery store. That first week was definitely the hardest. It seems easier now as my list of “safe things” is growing. Of course, I haven’t even begun to think about eating out at a restaurant or at someone else’s house. *Finally broke down and bought my first pair of reading glasses. Wow! I can see what’s on all those labels now. *After shedding some tears, decided to stay positive and focus on the thousands of naturally gluten free things that I can still eat. I’ve always loved my meat, potatoes, fruits, and veggies anyway. And, if I felt better going gluten free, clearly that would be all the motivation I needed. *Purchased a new toaster, colander, and nonstick pan. 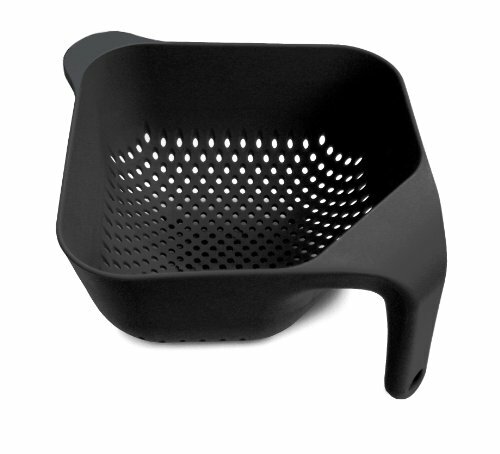 It bothered me that our old nonstick pan was scratched up and NOT PTFE/PFOA-free anyway!